This entry was posted in Contemporary, REVIEWS (ALL) - Reverse Chronological Order, Romance and tagged cinderella-romance, contemporary, contemporary-romance, helena-fairfax, intense, powerful, romance, sweet-romance, the-silk-romance. 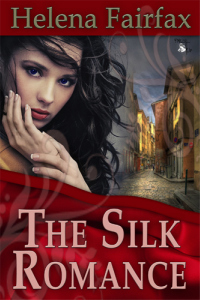 I read The Silk Romance, by Helena Fairfax, and feel the same way. It is a deeply emotional love story with characters who get under your skin. I, too, have thought about them several times since finishing the book. To me, that’s what makes for a fantastic read.